In May of 2013, my mother was in a bicycle accident and suffered severe brain damage. I came home to help take care of her, and realized I needed to take care of things within myself. 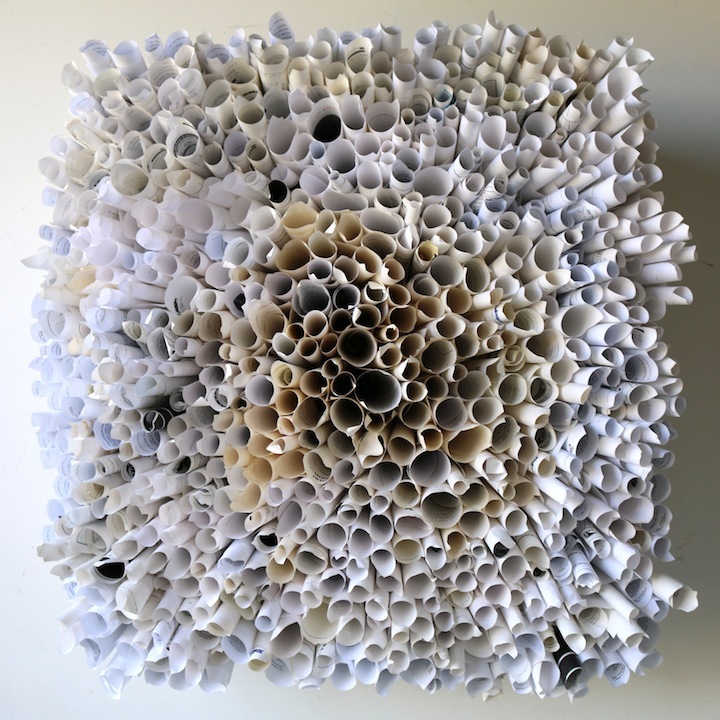 After nearly a decade away, I decided to come back to Thatcher, spend time alone in the building, and create mixed-media art from the materials my parents hoarded over the years. Disconnected from phone and internet, I was left to my own devices in the deep silence of the prairie. I used creation as a way to process and own my story and to come to terms with my mother's accident. 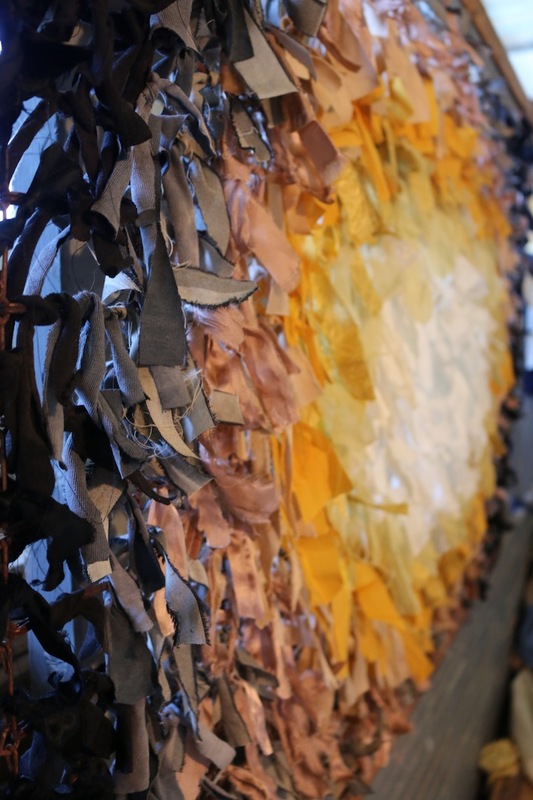 Much of the work from this experience is focused on the cycles of life and death, order vs. chaos, and the woven memories of my experience that have contributed to who I am today. 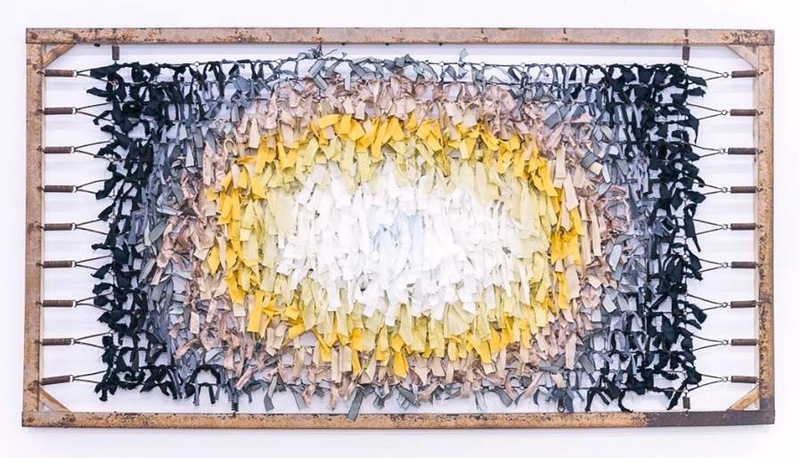 Rabbit Hole, metal cans, nails, bottle caps, wood, paint, 48x60", 2015. 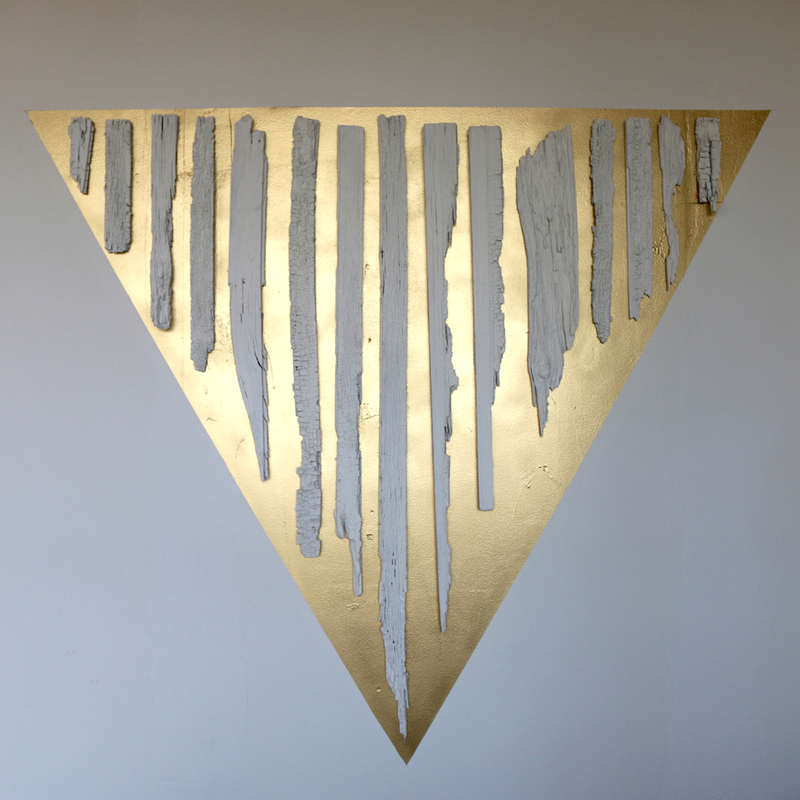 Alchemy, Runes of Ruins, wood, paint, 70x65", 2015.
detail Alchemy, Runes of Ruins, wood, paint, 70x65", 2015. 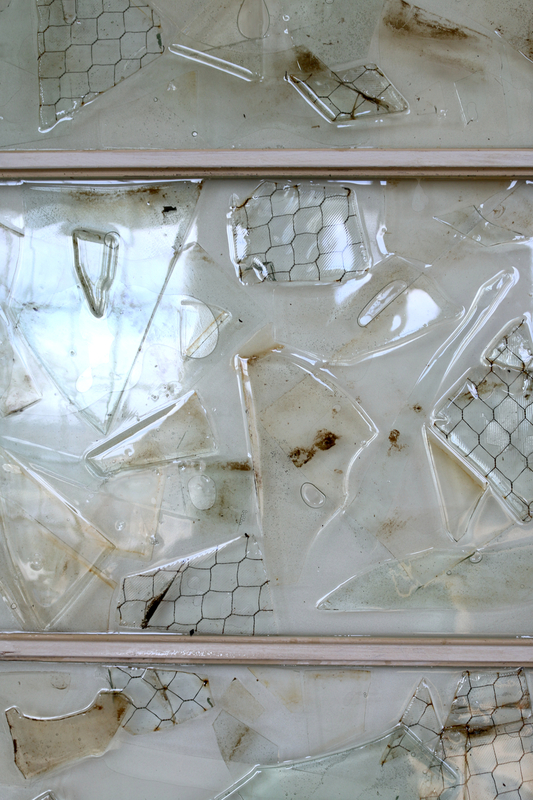 Clarity is a State of Mind, found glass, window, resin, 24"x45", 2015. 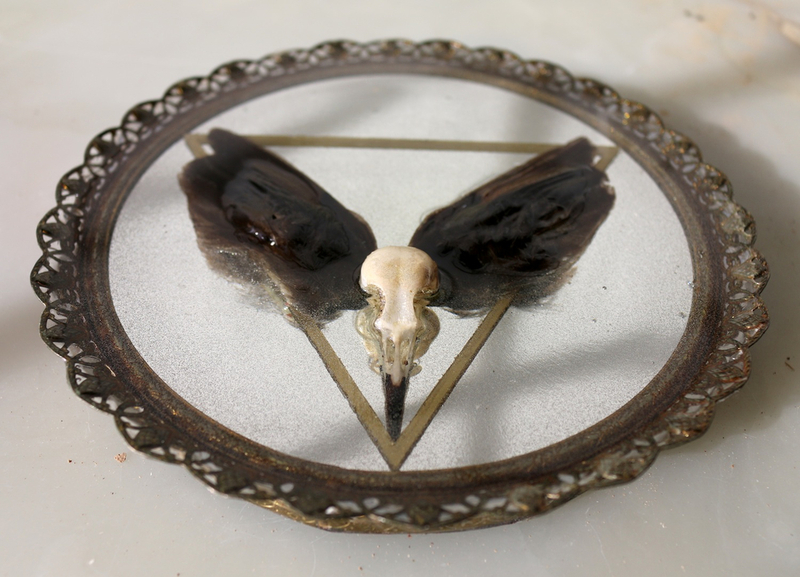 Delta, mirror, bird skull and wings, gold enamel, resin, approx. 8x8", 2015.